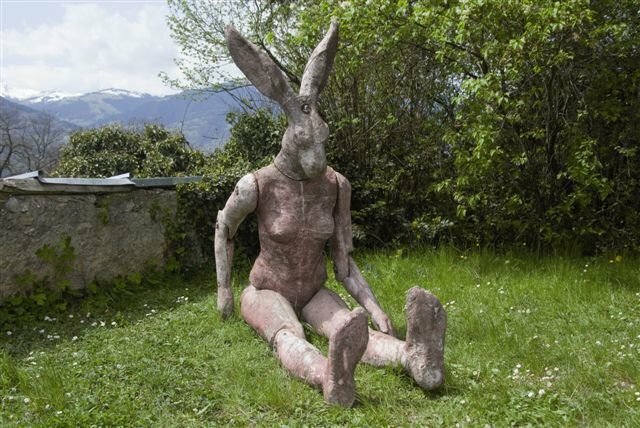 Every three years, a property that belonged to the daughter of a British Peer becomes the pastoral setting for an entertaining outdoor art exhibition. Bex & Arts takes place until 28 September and showcases sculpture in the stunning environment of an undulating park at the base of the Alps. 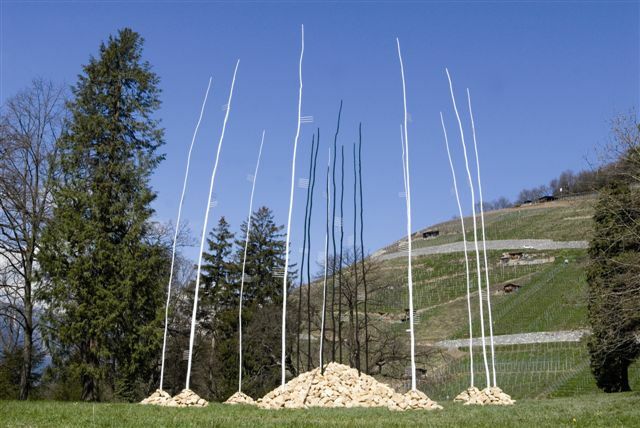 Less than half an hour from Lausanne in the direction of the Valais, centenary trees become the framework of imaginative contemporary installations. Bought in 1835 as a thermal retreat by Lady Louisa Hope, the daughter of the Earl of Winchilsea and the widow of a British General, the property was eventually donated to the Vaud Canton by the descendant of a Hungarian aristocrat, Jules de Szilassy, who had married into the family and whose wealth, in the fifties, had been lost to political misfortune. 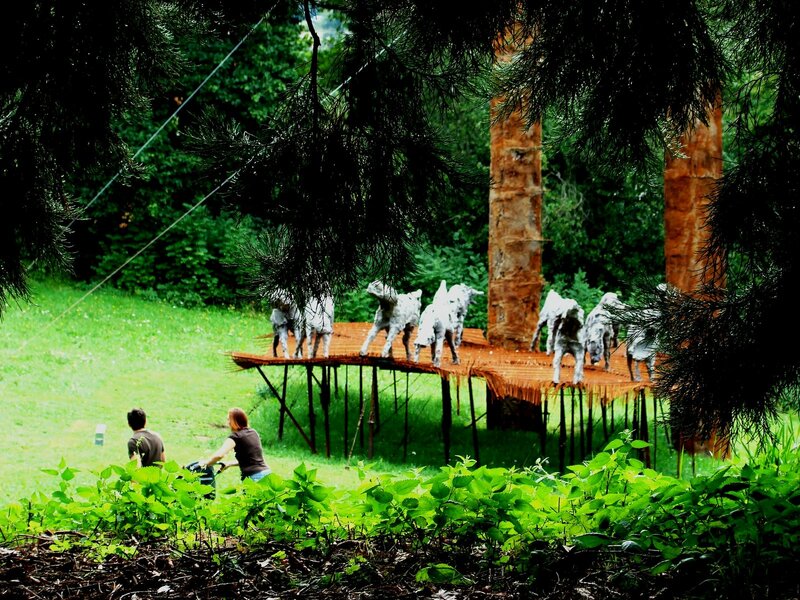 Since 1987, the sculptural gathering initiated in 1979 by the Swiss artist, André Raboud, takes place on the magnificent domain of 80’000 m² (20 acres) and now attracts more than 25’000 visitors during each edition. Raboud’s son, Nicolas, the present curator, has put together a panorama of Swiss sculpture that is both ambitious and immensely engaging. On the ambiguous theme of “Laschiami” (“Leave me”, or “Leave me alone”) more than 80 works adorn the lawns, fields and slopes of the park, in an amusing dialogue with our intellect and with nature. My own favorites are the irreverent and playful, Barbielapin, by Nicola Zaric, the stupendous Der Feuerreiter (Fire Rider) by Suter & Bult and the arresting Les Loups qui traversent la nuit (Wolves crossing night) by Olivier Estoppey. But the whole point about Bex Arts is that there is something for everyone, including harassed mothers who really don’t know what to do with their toddlers on a sunny afternoon. Take a glance at the sculptures on show and remember that the next edition will only be in 2011.